(Natural News) For individuals with eyesight problems, eyeglasses can be a godsend. But many people who use eyeglasses also find them to be problematic sometimes. That’s why alternatives have been invented: So that options exist for those who don’t want to wear eyeglasses to solve their eyesight problems. Now, ophthalmologists from the Shaare Zedek Medical Center and Bar-Ilan University‘s Institute of Nanotechnology have teamed up to develop a new technology-based solution. The team successfully managed to create a nanoparticle solution that’s referred to as “nanodrops” for the benefit of those with eyesight problems. So far, it has been tested on pig corneas. But clinical trials for humans should be underway very soon, according to a report. If the human tests are successful, it is said that they could potentially eliminate the need for eyeglasses. 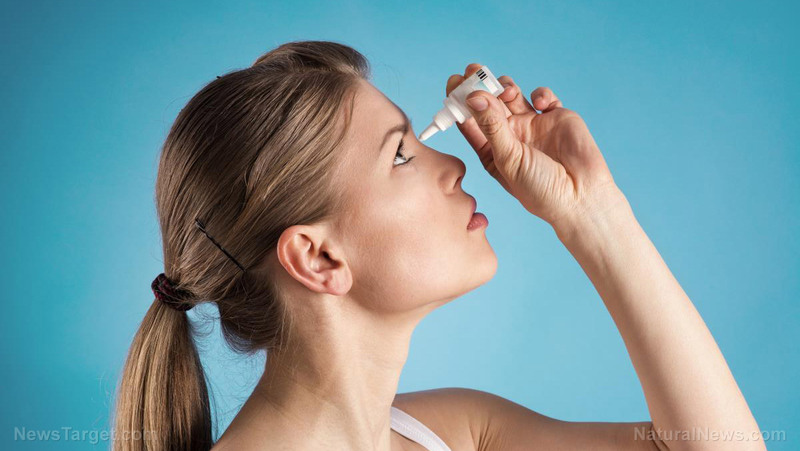 Indeed, simple eye drops might just make eyeglasses completely obsolete. According to Dr. David Samdja, the leader of the team behind the nanodrops, they’ve got a revolutionary product on their hands as far as both the fields of ophthalmology and optometry are concerned. He is hopeful that the human clinical trials will be successful so they can deploy it as a mass market solution as soon as possible. “This is a new concept for correcting refractory problems,” Smadja explained. Based on their initial tests, their nanodrops could be used on patients who are suffering from conditions such as myopia, hyperopia, and a few others. Smadja also noted that their solution could be used to eventually replace multi-focal lenses and effectively allow people to see from different distances. Right now, the method for the application of these nanodrops isn’t entirely clear. However, here’s what the researchers have shared so far: They said that once the results in humans prove to be successful, any and all prospective patients can benefit from it by performing a few simple steps. First, they need to download and install a dedicated smartphone app that can be used to scan their own eyes. This app will allow them to measure their refraction, create a laser pattern, and finish up with “laser corneal stamping” of an optical pattern onto the corneal surface of the eyes. A report about the study and the resulting nanodrops mentions that this effort by Smadja’s team is only the first one out of two separate works that were chosen by what’s described as “an impartial team of judges” who look at 160 different research papers. These studies were conducted by healthcare professionals working at Shaare Zedek and showcased as part of the Shaare Zedek second biennial research day. It is said that the hospital staff manages to publish more than 300 articles each year, which end up getting published in different scientific and medical journals through the Shaare Zedek Mada’it (Scientific), a Research and Development (R&D) company created for hospital-based researchers.